I’ve always wondered a little about guys who claim to know everything they need to about a tobacco blend from only a single bowl, or, in some cases, even less. What do they know that the rest of us don’t? When I worked in a tobacconist’s, I marveled at the occasional customer who would walk in, fill his pipe (singular) with blend after blend from the jars at the tasting bar, strike a match, offer a few powerfully puffed clouds to the breeze, bang the still smoldering mass into the ash tray, and go on to the next jar. This is a skill I did not possess then, and, apparently, still have not acquired. In fact, from my perspective, and this is likely to raise a few hackles, it’s simply not possible to know much at all about a tobacco blend without giving it a much more thorough shakeout than can be found in a few puffs or a single bowl. While my initial perception of a blend may be slightly more informed these days than it was thirty years ago, it’s still uncertain, unreliable, not to be trusted. There are too many variables at play, and it’s those variables that make the instant assessment impossible. There is one thing we might be able to sus out from a single smoke-we like it, or we don’t-but, even this can be somewhat off the mark as often as it’s on. 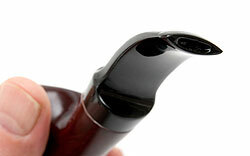 The pipe itself offers the first obstacle to really "getting" a blend. 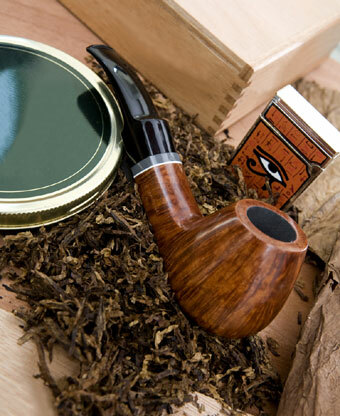 Since the briar will carry with it the lingering memory of the last several bowls it’s been intimate with, we can’t expect it to paint a pure and accurate picture of the tobacco we’re smoking in it this time. Even if the blends are of the same basic genre, the subtleties can be occluded by the ghost of tobaccos past. And, if the pipe has catted about, finding its fill of whatever blend its owner thought intriguing in a moment’s fancy, things can be even more challenging. (That said, some of the most fascinating and enjoyable smoking memories for me have come from these sorts of "crossover" smokes, but that’s another story.) In any case, only after quite a few bowls of a new blend have been smoked in a pipe will the clouds part to reveal a clearer view of things. A new pipe presents different, but similar problems. As I write this, in fact, I’m smoking a tobacco I’m very familiar with in a pipe of more recent acquaintance. 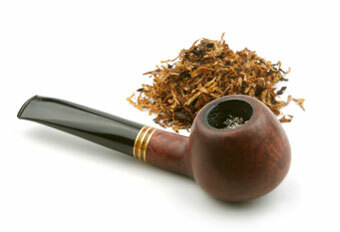 The taste of the tobacco itself is hiding behind the pleasant, but boisterous voice of the virgin briar. 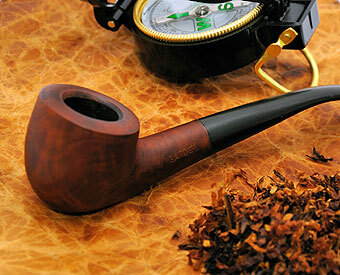 I love these early smokes in a new pipe, but, they don’t tell the story of the tobacco itself very well. If I were to judge the tobacco from this experience alone, it might not fare as well as it has over the recent months during which it’s become one of my faves. Beyond the pipe, environmental conditions can dramatically affect the way a blend tastes. Temperature, relative humidity, the moisture content of the leaf, how long the pipe has rested and so on, all make a contribution to the overall experience of a tobacco. When I was in Denmark, I found myself really enjoying a blend that I absolutely cannot stand in California. The difference was so remarkable that I asked the manufacturer if the U.S. product was different from the one sold in Denmark. No, it’s not. Being skeptical, I brought back two tins anyway, just in case. Sure enough, when I returned home, the very same tobacco that I’d been enjoying for weeks, was rendered un-smokable for me in the very same pipes. Finally, our experience can be influenced by things like mood, other blends we’ve been smoking, what we’ve been eating, what we’ve been drinking, the vitamins we’ve been taking, or changes to medications. Or, perhaps we’ve changed our filling technique, or are drying or rubbing-out our tobaccos out more than we did before, or smoking more slowly or more quickly. Or, the new blend might be in a style that is different from what we’re used to, and we need to let our palate acclimate to the new tastes. There are so many variables to be taken into consideration that it’s beginning to look as though our first impressions may not be of much use at all. A friend in Italy once jokingly told me that his critical evaluation of any new tobacco is simple: "Mi piace; non mi piace." I like it; I don’t like it. This might be the only situation in which first impressions have real value, but even here, can those quick assessments be trusted? It’s easy to be impressed by something at first blush. A bold, intense flavor, a dramatic aroma, maybe a little more strength than we’re used to can form a positive first impression, but will it have staying power? I’ve been bitten by this one; based on a single tasting of something "boldly original," I bought quite a few tins for the cellar, only to find, by the time I’d finished the first, that my pipes and palate had become fatigued by the flavors, and the strength turned out to be too much for this confirmed nico-wimp. Tins traded; lesson learned. Until next time. Fickle they may be, but if kept in check and appreciated for what they are, our first impressions can offer something of real value. They can guide us towards deeper enjoyment, or away from things that might be objectionable. We just have to remain aware of the fact that they are, in fact, only estimations; given too much weight, they can lead us to abandon something that might have become an all-time favorite had it been given another chance, or seduce us to stock up on something we might end up not liking much at all. First impressions do offer clues, and we should listen critically to what they have to tell us, but be careful not to fall into the trap of relying on them too much. I know I’ve had several times where I disliked a tobacco at first, but tried it 1 or 2 times more and then it became one of my favorite blends. I have also had the occasion to love something the first time I smoked it, and then completely fallen out of love with it later. Great comments on the effect of climate and environment. I had a tobacco last night that I almost dismissed. I had been smoking it outside or in the basement, and thought it was acrid and tasteless. I smoked it in my office last night and was blown away by the subtleties that I had missed! Greg thank you for expressing yet again that common sense, patience, and civility will offer the nutrients our understanding of the complexities of various tobaccos and blends require to grow. And only after actually having gotten to know a blend or type of tobacco (just like a person), should we render any opinion- and even then those opinions should be questioned!!! I thoroughly enjoy your articles and look forward to seeing more of them! I love to go to the local B&M and stuff and puff from a jar that I haven’t tried before. Sometimes I like it right away sometimes not. But, I don’t decide based on that one bowl smoked over old jokes and reminiscence. If I’m looking for something new I’ll buy a couple of ounces and give it a fair shake. But, I have noted the same phenomenon you so accurately described. A lot of thoughts in one article - may need to re-visit for further comments (not unlike a baccy really!). First question though is on the nature of soothing v. contemplative/critical smokes - can they be from the same blend? For me, some are like old easy going friends (or old jeans) and need little thought but the best are those blends that just don’t respond to being rushed or smoked without thought. (I won’t embarrass our editor by referring to those complex blends by name). What do others find - same or separate? Interesting points, Jim. I think there are some tobaccos that can fill both niches equally, offering both comfort and complexity, depending on how much attention we can put on the blend at the moment, but these may be few. I’ll look forward to reading what others think about this aspect of our enjoyment. I loved the pictures that accompanied the article. Very well worded it flowed, and was informative of different factors on tobacco. Kudos go to Kevin for the photos. Another great article Greg. Always thought provoking. The pics provided by Kevin are great as well. Thanks for the wonderful article Greg. I always appreciate being reminded of all the little things that can effect our pastime. As to Jim’s question. I have noticed that I tend to have a cycle with blends I enjoy. I start out with those slow contemplative/critical smokes trying to find everything that makes it tick. As I become more familiar with the blend it becomes more of a relaxing smoke that occasionally surprise with something new and wonderful. After it has become a standby for a while it tends to fall out of favor and I begin smoking contemplatively/critically again trying to find what I once loved and it starts all over again. At least for the blends I really enjoy. There are a few blends that seem to only fit in one category but most of the blends I enjoy cycle between the two types of smoking. Thus keeping me continually engaged and curious as to the next surprise. Great article it has made me go back and try some tobacco I dismissed in a purchase I made. You say that a blend you smoked in Denmark did not work for you back in California but have you ever found the opposite to be true? Do any of your own blends work less well for you in Europe than at home? A good question, Scarborian. I’m sure this would be true with ANY blend, though some might be less environmentally sensitive than others. I chose this particular example because the change in my experience of it was really dramatic. On one hand, a smooth, sweet, easy smoking blend, and on the other, a mouth full of fire-breathing dragons. The point here is that climate and environmental conditions can influence what we experience, sometimes in profound ways. In that fourth picture what’s that inside the bowl of the pipe, a price sticker?! Anyhow great article. It puts in words many of the thoughts I have when trying to give a new tobacco a shot. I agree that at least a couple ounces smoked in various places at various times in a variety of pipes is the ticket. I have found by accident that I DO like a particular tobacco but only at a certain time. For instance, a straight VA, even one whose characteristics are generally known as HOt, Hot, HOT! A quiet slow atmosphere and a contemplative cadence will bring out the sweet, haylike, natural flavor of a straight VA for me. And, it’s so rewarding that I am more than willing to sit on a VA and wait to savor the joy! There was a price sticker in there Tony, but I have now removed it. I will have a talk with our staff photographer and photo editor for sleeping on the job on that one. It’s hard to get good help. Wow. The number of factors involved in each and every particular ‘moment’….writing them all down would be a wow. A task of impossible measure. You touched upon a good amount and there are so many more. People like you Greg are tuned into so many more of those factors and your pipe senses are now adjusted to such a high extreme, it allows you to dissect such a subject to such a level. Other people perhaps not as tuned as you still have similar experiences but the reasons why they taste something or smell something have fewer answers than with you. Where some have clouds of confusion, others have a clearer sky. You choose to try and understand areas that many people just chalk up to mystery. For that we thank you because it gives the rest of us access to being able to get to that point. Learning that the way we process any ‘happening right now’ moment, will always be based on what we have been able to experience up until ‘that moment’. The collective past experience makes up the perception of the now. Obviously if we are trying something for the first time our analytical process has very little to use, judge and gauge with. This is so with everything in life, not just pipes & tobacco. Yet somehow our ego, peer pressure or an assortment of other social and non-social factors tend to control that ‘right now’ moment to the point where we feel like we do not need that experience this time and we are suddenly somehow able to process and analyze something as if we have been doing it our whole lives. Funny human nature. Your article on tobacco provides an additional good guidance for experiencing life in general. Very good article. I agree that one bowl isn’t enough to decide if a blend it good or bad or at least not to ones personal taste. I think sometimes maybe a diet for that day or other vague things can make a bland taste different from one day to the next. Very good article, Greg. 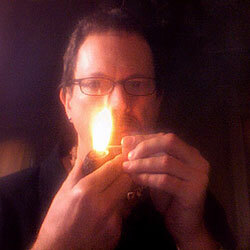 I have also found that my first impression of some tobaccos has been less than accurate after smoking them over time. I also know that some tobaccos seem quite different when smoked outdoors versus indoors so the climate issue is certainly a factor. I am a novice, but I would like to expand on the idea of location affecting the smoking experience, especially in Europe vs America. I am just thinking out loud here, but I would assume that the “location” itself wouldn’t matter except in a sense of the environmental characteristics of that area. In other words, I imagine that things like humidity, temperature, elevation, etc. would be the factors that effect the smoke. I.E. air pressure and oxygen levels at higher altitudes effecting the speed and temperature of the burn. If that is the case, then a bowl would smoke considerably different at the base of a hike than it would at the summit a couple hours later and perhaps only a couple of miles away. I can definitely see how location would change the experience, but isn’t likely then that the European tobacco might smoke well in many other locations in between your home and Denmark. In other words, based on the information in your article which I hadn’t previously considered, it would seem that a specific tobacco would give you a vastly different experience in San Diego than it would in Yosemite Park or the northern coast. I may have overcomplicated or oversimplified things, but I really enjoyed the article. It just occurred to me after reading that I don’t believe the tobacco is simply worthless in California. If it were me, I would be carrying it around with me to find a place locally (or more so than Denmark) where I could enjoy it. This is a very interesting concept for me. I live in Italy, one of the reasons being that food here just simply tastes better than anywhere else I’ve lived (the US, Canada, Germany,UK,Egypt). At first I thought it was the quality of the raw materials used in cooking, but last month I tried a little experiment. I made a carbonara with eggs from my hens and pancetta (dry-cured smoked bacon) from my pigs and 30-month matured Parmigiano. Here at home it tasted spectacular as usual. I then traveled to England and took all the same ingredients with me, including the same water from my well to boil the pasta in. The dish tasted respectable, but nothing more. It no longer had the depth and complexity of flavour- and I made it twice, a week apart, to make sure it wasn’t just because I’d been traveling and therefore might have been tired, effecting my palate. I was involved in the brewing trade for 25 years, and had to conduct flavour profiling on beers, several times a week- thus I have an educated, well trained palate. I’ve come to the conclusion it must be something to do with Italian air. By the way, my pipe tobacco tastes much better here too! I know that at least from my experience that the time of year does make a difference in taste. Greg makes a good point. Initially, one of his co-authored blends, Two Friends Heritage, tasted too light for me. My first impression was a negative one. But, I was patient, knowing that this blend was the all-time favorite of Craig Tarker of C&D. So, I very patiently tried it again and again. Much to my surprise, I discovered the secrets this blend held. And, now, for a few years already, it is a daily staple, ever enduring, and I can’t be without it. So, while first impressions have value, as with anything else, value is truly found through the test of time. 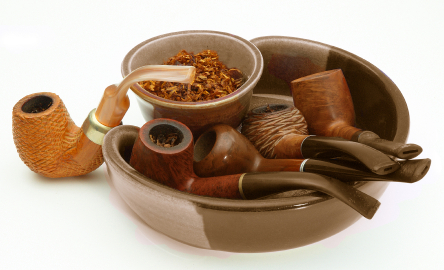 Thank you all for a very informative article and so very many good points brought up .As a fairly new pipe smoker this helps wonderfully and gives me maybe a little more patience with my current blends . Oddly, I do not like most of Mr. Pease’s blends when they are just released. The few that I have enjoyed right away, I end up not liking once they get some age on them. However, the blends I did not like initially, I really enjoy once they do have some age on them, go figure (then I kick myself for not stocking up).